Nikola Tesla Biography and Inventions, How Did He Die? Home Celebrities Nikola Tesla Biography and Inventions, How Did He Die? Electricity, as we know it today, is too often credited to Michael Faraday or Benjamin Franklin; however, the fact remains that it came about as a result of various contributions from a couple of scientists, including Nikola Tesla. Tesla was an engineer, futurist, and inventor most popular for his contribution and assists in favor of alternative current (AC). He invented parts and discovered a mechanism for the AC supply system. He won several awards while in the polytechnic and after for his inventions. Nikola has a couple of designs credited to him, including the AC induction motor, among others. His efforts in the field of electrical engineering attracted several awards in his honor. Let’s take a peek into the biography, life achievements, and creations of the inventor. 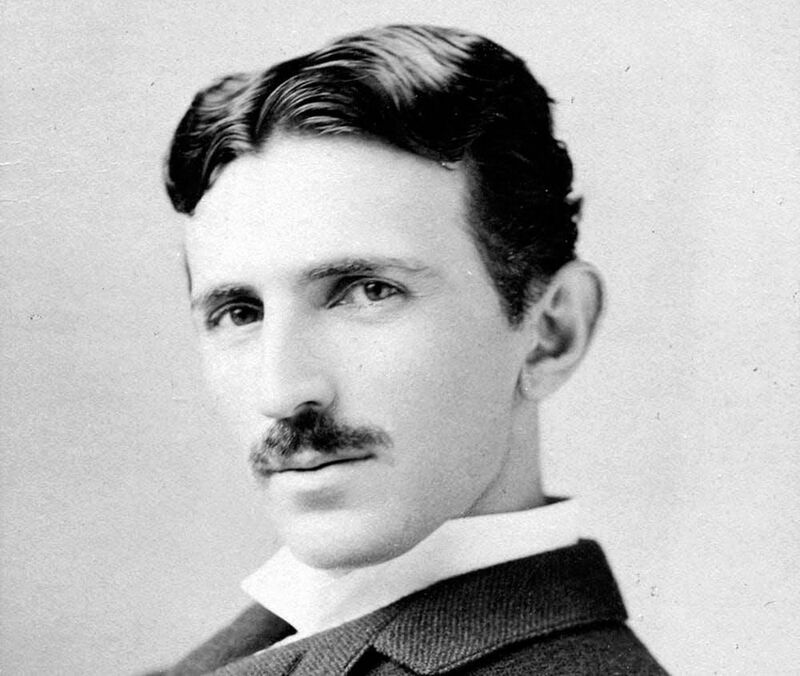 Nikola Tesla was born on July 10, 1856, in Croatia, formerly called the Austrian Empire. He was born into a home of priests – his father, Milutin Tesla was an Eastern Orthodox Church priest. His mother, Đuka Mandic was good at making craft tools for home, meditating Serbian epic poems and making mechanical appliances. His maternal grandfather was also a priest at an Orthodox Church. Tesla is of Serbian descent and his ancestors were from Western Serbia, particularly Montenegro. Đuka was never formally educated, however, she mentored her son, Nikola Tesla, in the area of mechanics. He would later attribute his creative abilities and apt memory to his mother’s genetics. He was born into a family of seven as the fourth of five children. His other siblings are Milka, Angelina, Marica, and Dane. His elder brother, Dane, died in a horse race accident when Nikola was five. Nikola began his formal education in 1861 when he attended primary school in Smiljan where he studied arithmetic, religion, and German. His parents then moved to Gospić, Lika still in Croatia where he finished his middle school. He enrolled in Higher Real Gymnasium, Karlovac for his high school education. At this school, he was taught advanced engineering and physics. He was also introduced to demonstrations of electricity which fascinated him a lot. He grew more and more interested in this “mysterious phenomenon” as he was tutored by his professors. He was a very smart student who was able to perform the integral calculus in his head. This was rarely seen at this time as this type of calculations was very difficult. His intelligence and zeal for his studies allowed him to complete a four-year course in three years and thereby graduate in 1873. A year later, Nikola Tesla evaded conscription into the Austrian army as he fled to Tomingaj. In this period, he read books and developed himself mentally. He eventually attended Austrian Polytechnic in Graz, Austria. In his first year, he was a very impressive student who never missed a lecture and aced all his exams. His excellence in the area of his academics reached the ears of the Dean of his Faculty who once wrote to Nikola’s father telling him how much of a brilliant mind his son had. His second year saw him have several confrontations with his professors in the Polytechnic. He would object some already laid down systems, deeming some parts as unnecessary. Nikola was on scholarship in this polytechnic but lost this privilege in his second year. This resulted in him giving into gambling and spending all his money. He tried formal education again but failed, hence, he went into the practical experience instead. Nikola Tesla worked at several organizations where he began his inventions. First, he worked for the Budapest Telephone Exchange at the Central Telegraph Office as a draftsman before being posted to the Central Station as its chief electrician. He made several improvements at his department and allegedly invented the telephone repeater, although this invention was never patented. Nikola Tesla’s next job was at Continental Edison Company, Paris in 1882. At this firm, he gained a lot of experience in mechanical engineering and started building and designing improved versions of motors and dynamos. He later moved to the United States in the years that followed and naturalized as a citizen. There, he kept working for Edison but later quit to establish his own firm in New York. With the help of partners, he established more companies and laboratories. These firms were used to develop mechanical and electrical devices. Nikola’s life constituted a lot of experiments and improvements on already laid down systems especially in the area of electricity. He also made notable discoveries in the area of wireless communication in the early 1900s. His experiments came to an end when he expended all his funds on his projects. In addition, his works became obsolete at his death and his contributions were hardly remembered until 1960. By 1990, there was an upsurge of interest in his discoveries. As expected, the legendary inventor was honored in so many ways, among which were in form of awards such as Order of St. Sava, II Class, Government of Serbia (1892), Elliott Cresson Medal (1894), Order of Prince Danilo I (1895), Edison Medal (1916) and many more. The renowned inventor, Nikola Tesla, died of neglected injuries, specifically coronary thrombosis. In 1937, and at the age of 81, Nikola sustained injuries from a taxi cab accident which he encountered on his way to a cathedral in New York City. The accident led to severe injuries on his back and three broken ribs. Nikola refused to see the doctor and managed the condition for five years. In 1942, he was found dead in his hotel room by a maid.